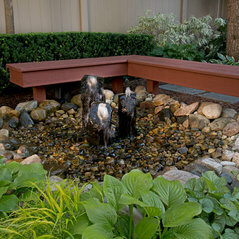 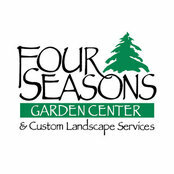 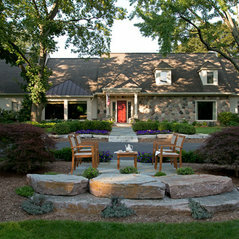 I loved the landscaping done by Keira at Four Seasons and would happily recommend them. 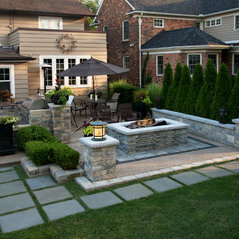 They did both the front and back yards, working within my budget and meeting my special requests. 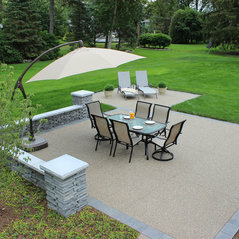 Commented: paversGlad you like this project. 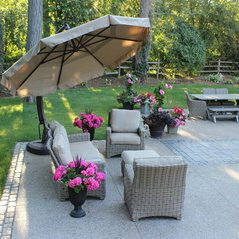 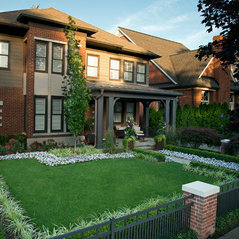 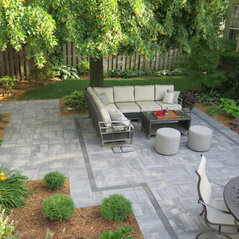 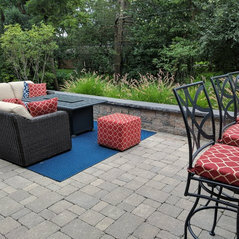 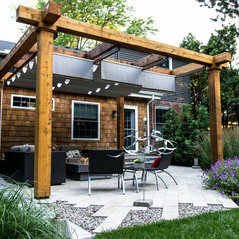 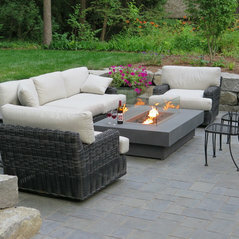 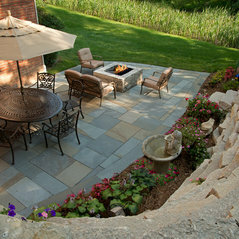 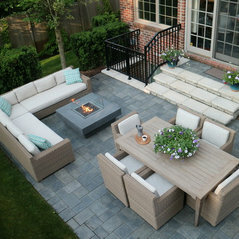 The pavers are a Techo-Bloc product called Blu-Grande, Smooth, Greyed Nickel. 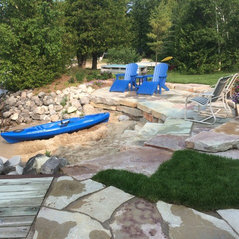 The wall stone is Canadian Finished.